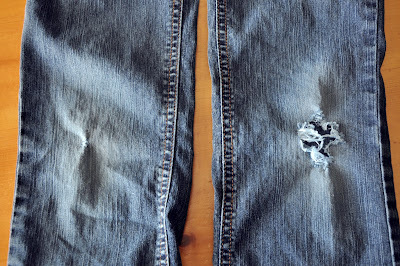 I've added fabric to the bottom of cut-off jeans before to make them cute when the holes are too large, but that always requires making shorts out of them. 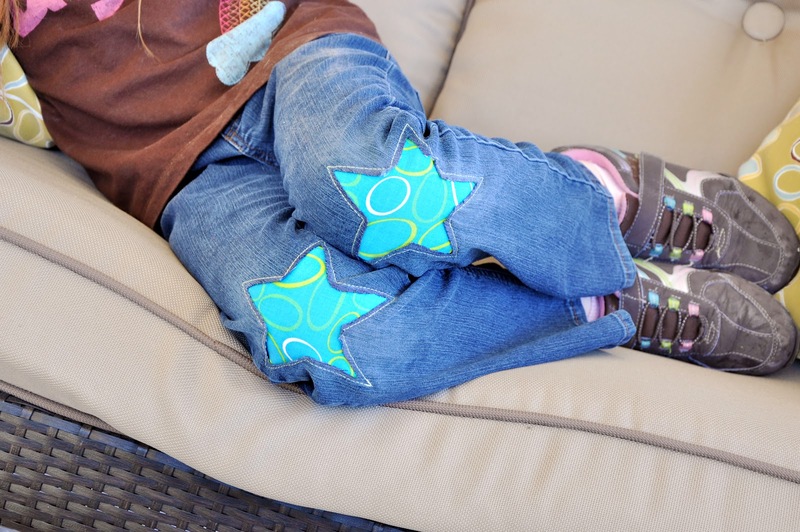 If you want to save the pants...give this creative knee patch idea a try. 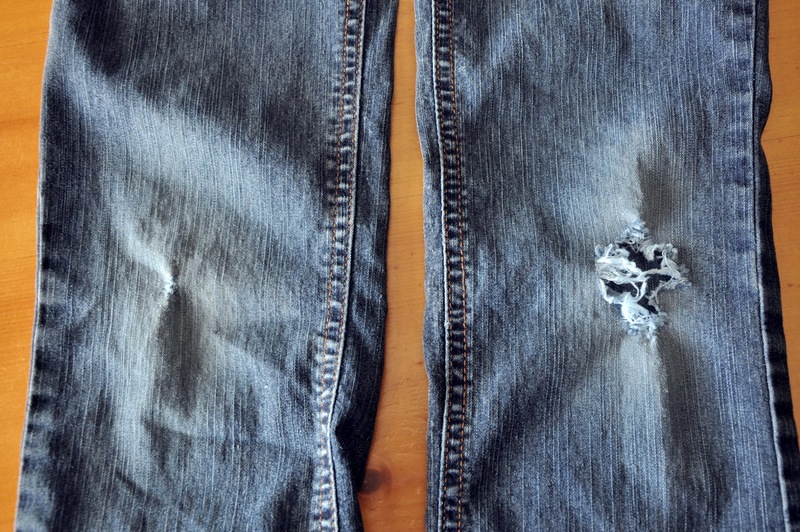 I promise the hardest part was ripping out the seams in the side of the jeans so you could get in there with a sewing machine. 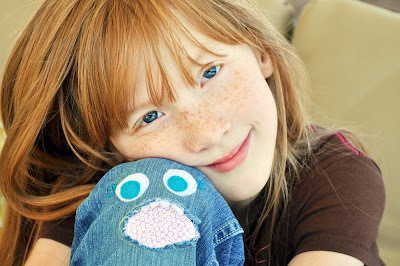 Since I was patching my daughter's holey jeans, I made her monster a girl monster. I should have made the eyelashes black so they'd show up better, but she likes the aqua blue color. 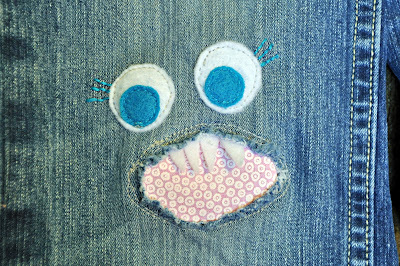 I layered a piece of pink fabric and a piece of jean material (because I KNOW she'll rip right through that cute pink polka dot print,) pinned it in place, sewed around it, and then I cut off the excess material in the inside. She says they are really comfy, which is a plus since at her age, everything is "itchy." This star patch was another great idea, and my daughter loved picking the fabric. 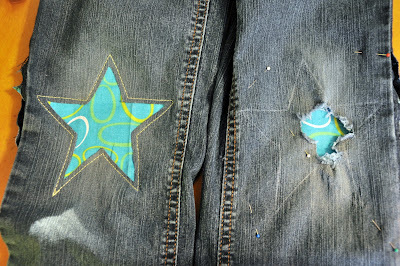 One of the knee holes is pretty bad, the other is just starting, so I made a quick star pattern, making sure it was large enough to cover the existing hole, and traced it onto the jeans with a white colored pencil. 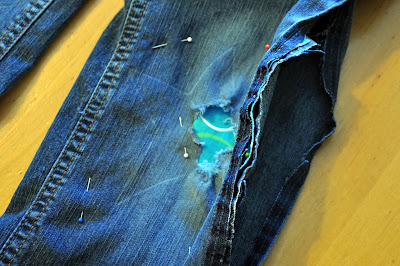 Then I pinned a layer of fabric and a layer of denim to the inside of the jeans (with the side seam ripped open, of course.) 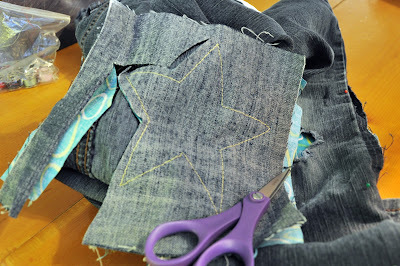 Make sure that the patch is larger than the star shape. It was really easy to sew around the star and THEN cut it out about a quarter of an inch away, instead of trying to cut out the star first and then sew it. 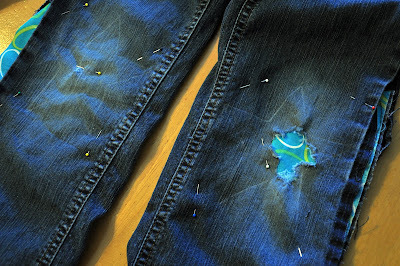 Remove the pins, flip it inside out, and cut away the excess patch materials inside the jeans. Then sew the jeans side seam back together. Ta-da! An adorable "new" pair of jeans! 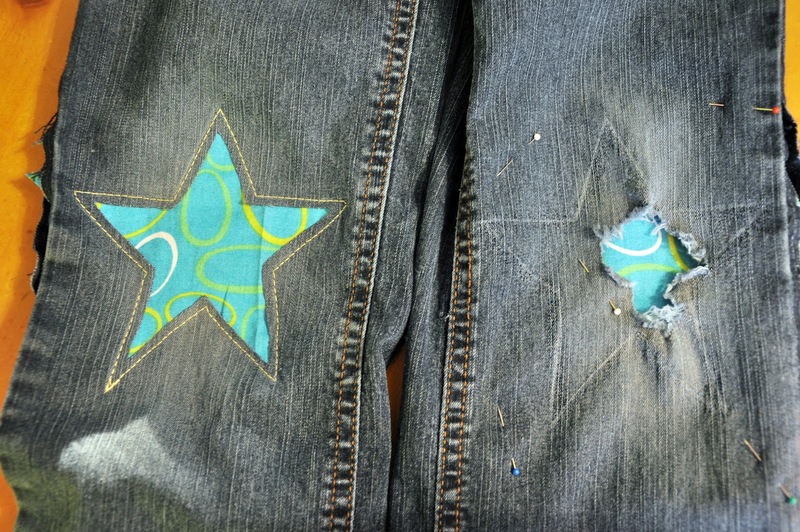 Looking to do this for my son's jeans! Thanks for the tip!